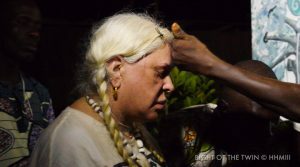 Change Itself: An Art Apart – Genesis Breyer P-Orridge – A film by Carl Abrahamsson – Zero Equals Two! “To sum up the life and work of British artist Genesis Breyer P-Orridge is close to impossible. Not only because of the wide range of artistic disciplines, but also because of the timespan, since the mid 1960s to the present day, that has been saturated by musical projects like Throbbing Gristle and Psychic TV, hundreds of records, thousands of concerts, exhibitions, interviews, videos, spoken word performances, collages, sculptures, philosophy, cultural engineering, occultism and radical transgender concepts. A couple of descriptions are still valid after these 50 years of active creativity and provocation. P-Orridge is a romantic existentialist and a cultural engineer. Everything is both work as such and “seed for cultural and behavioural change. This film is available for free for your viewing pleasure. If you appreciate this and would like to support trapartfilm.com‘s present and future work, please consider signing up at https://www.patreon.com/vanessa23carl.